Victoria, BC, Canada – Reliable Controls is pleased to announce the release of RC-GrafxSet® 3.4. With this release, RC-GrafxSet now supports Integrated Fault Detection and Diagnostic (IFDD) FlexTiles™. 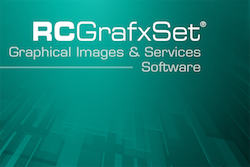 RC-GrafxSet is a full-featured, easy to use, non-proprietary, online graphical images and software service. It allows users to quickly generate professional 2D and 3D System Group graphics. IFDD FlexTiles are a new addition to RC-GrafxSet, allowing for the creation of simple, intuitive, and flexible interfaces for Fault Detection and Diagnostic (FDD) applications. IFDD FlexTiles must be used with Reliable Controls controllers that support System Groups which can be Enhanced, and with RC-Studio® version 3.4.2 or higher.